Paradox Productions began by offering DJ services in 2006, and this is still their primary focus. 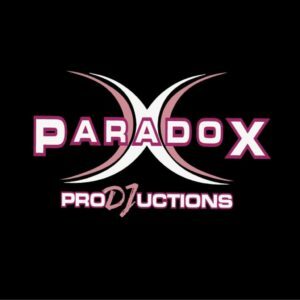 Paradox Productions works with a team of five outstanding DJ’s with impressive professional experience. However, the company has also branched out and become a comprehensive entertainment company offering other services like lighting design, video presentations, wedding coordination, photo booths, and more. Not only does their website give pricing, but you can also get an instant quote for your event by visiting the Paradox Productions website. We recommend you start by looking through Paradox Productions website: www.djpdx.com. From there, you can learn more about their services, read in-depth FAQ’s, request a quote, or contact them.